Katharine Halpin Podcast Interview – President & CEO of The Halpin Co.
Today, I’m interviewing Katharine Halpin, President & CEO of The Halpin Co. Katharine grew up in the “mad men” era of Mississippi in the 1960s, assuming a great amount of leadership responsibility at a very young age through the oversight of her four siblings, as well as through her working hands-on with clients at her father’s small CPA firm. She carried the knowledge she gained when she “escaped” Mississippi to work with Touche Ross in Dallas, which is now part of Deloitte. In it, she offers advice about the importance of leadership and self-diligence. She also notes how these things contribute to successful and positive business results. She presents several helpful ideas about time-management and self-care. They both have had a profound effect on business and organizational efficiency. Currently, Katharine is overseeing The Halpin Co., where she focuses on dynamic team-building and cementing sustainable practices into businesses. 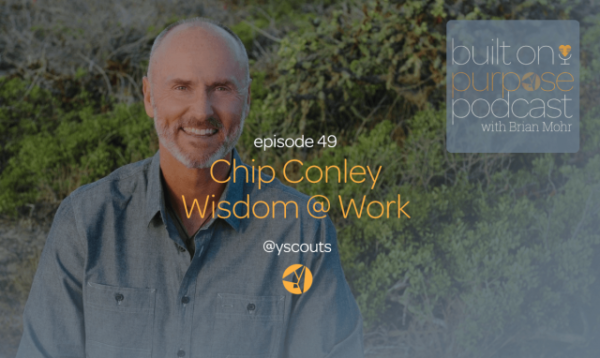 Listen to this episode and more interviews from the Built On Purpose Podcast at yscouts.com/podcast.